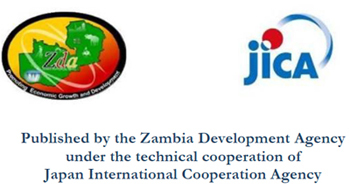 » Completion of Zambia's 6th peaceful political transition in September 2011. » Ascension into power of the Patriotic Front government promoting Fight against Corruption. » A Private Sector Development and Reform Program (PSDRP) continually streamlining licensing and administrative processes for the private sector. » Member of the International Convention on the Settlement of Investment Disputes. 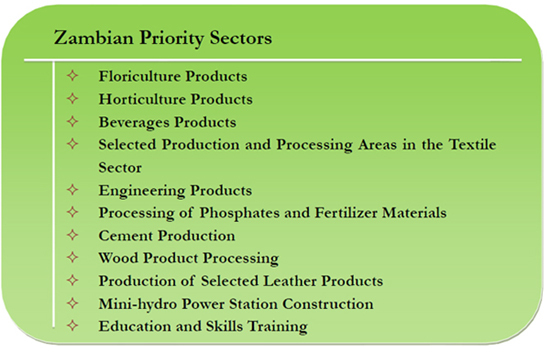 » Improvement allowance of 100% Capital Expenditure on improvements or upgrading of infrastructure. 5. Progressive Banking, Legal, and Insurance Services of International Standards. » Listing through the Lusaka Stock Exchange established in 1993 and a member of African Stock Exchange Association. 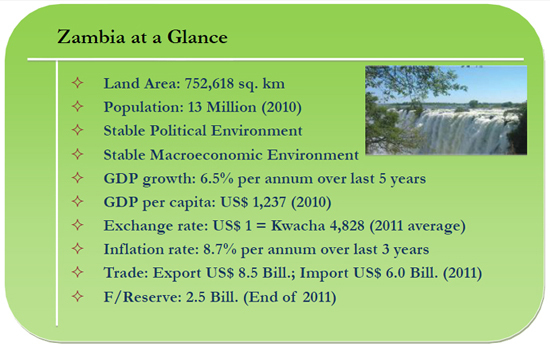 » Extensive mineral resources with at least two billion tons of minerals just within the Copperbelt region alone. » 752,000 square kilometers of land, of which 58% is arable land. » Victoria Falls, a UNESCO world heritage site, in addition to 22.4 million hectares of national parks and game management areas. » Member of the World Trade Organization (WTO) since 1995. 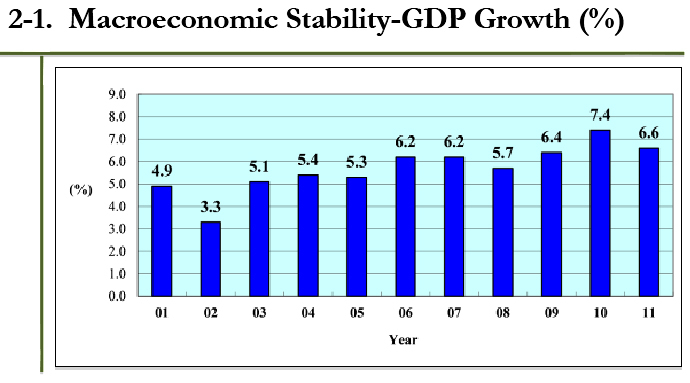 » Continuing of liberal market- led economic policies aimed at facilitating the private sector. » Continuing government support and promotion of private sector through all political transitions. » No restrictions on the repatriation of interest, profit, dividends, management fees, technical fees, and/or royalties. » Easy access to the natural beauty of Zambia through an abundance of safari reserves and Zambia's landmark Victoria Falls. 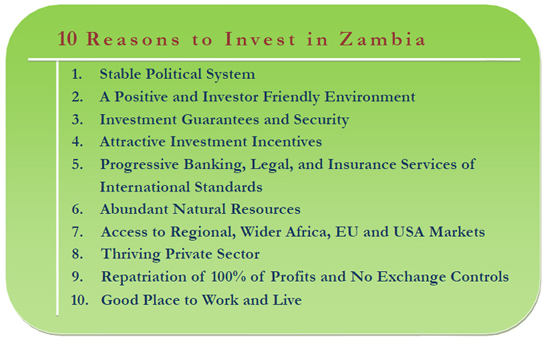 "Zambia: Application Manual for Investors" (2012).